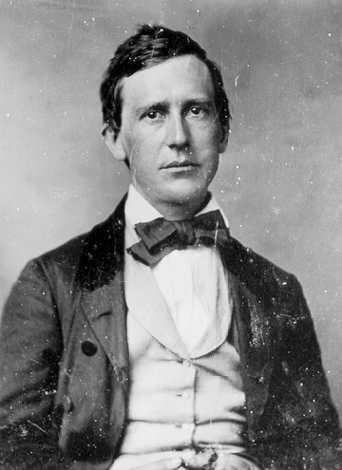 Stephen Collins Foster – America’s first professional songwriter – was born on July 4, 1826 in Lawrenceville, Pennsylvania. Since the previous October, Foster had been living in Allegheny City (now part of Pittsburgh), Pennsylvania. The area had been hard hit by unprecedented levels of unemployment and a summertime outbreak of cholera that had killed hundreds in two weeks time. Foster was well aware of the poverty, distress and suffering in the world around him. “Hard Times Come Again No More” was published in 1954 by the New York music publisher Firth, Pond & Co. The song was registered for copyright on January 17, 1855. The song was recorded for the first time in 1905 by the Edison Male Quartette for the Edison Manufacturing Company. It was released on an Edison Gold Moulded cylinder, #9120. “Hard Times Come Again No More” is today revered as one of Stephen Foster’s greatest songs and has been recorded and performed by a long list of contemporary musicians. Among those on that list are Kate & Anna McGarrigle, Emmylou Harris, Nanci Griffith, Bob Dylan, Johnny Cash, Bruce Springsteen, Mavis Staples, Iron & Wine, Kristin Chenoweth and Mary J. Blige. One of my favorite renditions of “Hard Times Come Again No More” is from the 2000 album Appalachian Journey. This is the second album by the string trio of fiddler Mark O’Connor, cellist Yo-Yo Ma and bassist Edgar Meyer. The trio is joined on this track by singer/guitarist James Taylor. Stephen Collins Foster passed away, impoverished and destitute, in New York City’s Bellevue Hospital on January 13, 1864. P.S. : This is sixstr stories’ 300th post. This entry was posted in Random Topics and tagged Edison Male Quartette, Hard Times Come Again No More, James Taylor, Ken Emerson, Stephen Foster. Bookmark the permalink.